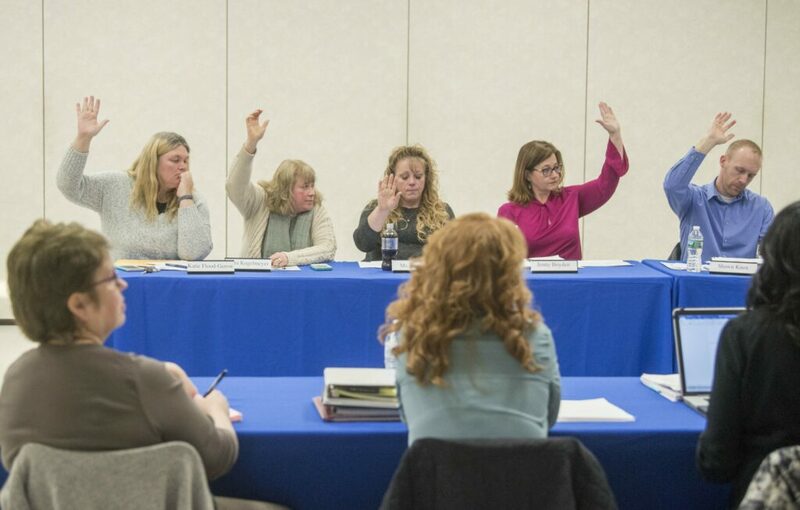 FAIRFIELD — The local school board voted Thursday night to put out to bid a request for legal counsel following discussion of concerns over the superintendent’s controversial move to contract with a new legal firm without full board approval. The district includes Albion, Benton, Clinton and Fairfield. Earlier in the year, Superintendent Reza Namin, who came to the district in August and shortly afterwards announced an administrative restructuring plan, sought legal advice on some issues from the law firm Jensen Baird Gardner & Henry. The choice has been controversial because for years the district contracted solely with the firm Drummond Woodsum, and some board members have said they felt more comfortable with that firm and were uncomfortable with the superintendent choosing a new firm without full board consent. Namin said at a previous meeting he ran the decision by the board chair and vice chair, but not other members. After heated debates at the last few meetings, the board moved 11-0 to put out to bid an RFP seeking a contract with a legal firm. After approving the move to put the legal counsel contract out to bid, the board voted to go into an executive session that was not advertised in advance on the board’s agenda. Namin and Rudnicki cited a portion of Maine law that says a body can go into executive session to discuss legal rights or pending litigation with an attorney. Although no attorney was present for the board Thursday, they said the law can be applied to the discussion of information from an attorney. Earlier in the meeting, former school board Chairman Stewart Kinley expressed concerns about the restructuring plan not being presented for public consideration prior to its approval following a board executive session Jan. 3. Since then, the board has also received a letter from employees affected by the plan, which includes layoffs and new job descriptions, threatening legal action. The district has declined to release the letter publicly saying it’s contents qualify as a private personnel issue under state law.